As you can see, we did pretty well this year. We reduced our spending from the last three years by almost $10,000, although almost all of that came from estimated tax savings. 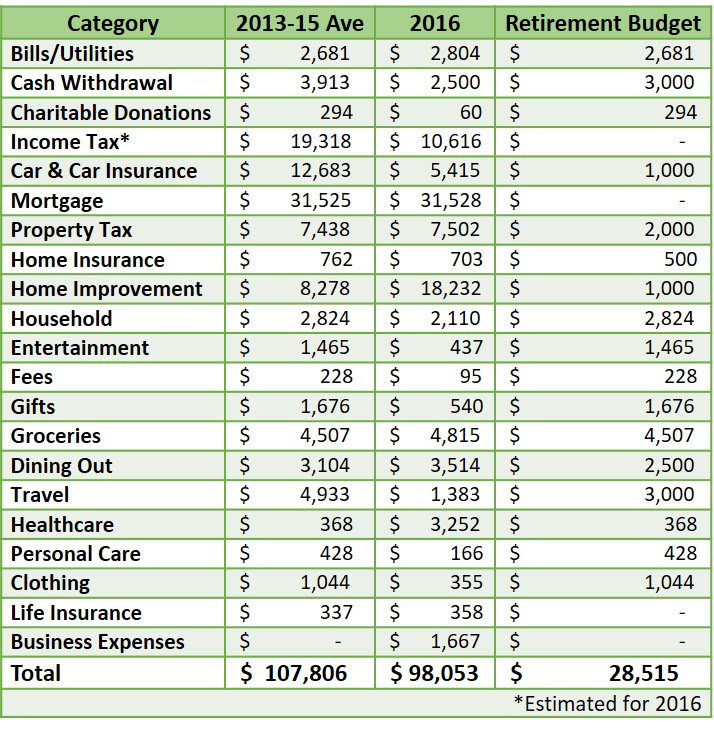 Pretty much all other categories were pretty close to previous years, and even close to our theoretical retirement budget (which I need to update to be slightly more realistic). The one category that blew up this year was home improvement. That's because we installed solar panels, which would have been a great long term investment if we weren't moving, and we remodeled our kitchen in order to get top dollar for the house when we sell it. Overall, I'm pretty pleased with how we did this year, and I continue to be confident we can meet our retirement budget going forward. 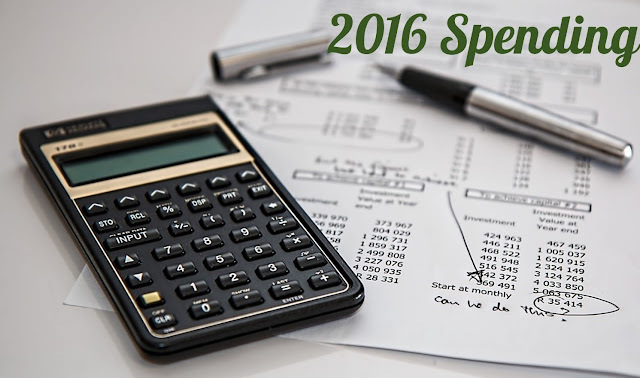 How was your spending in 2016? Did you stay on budget? I need to track! Haven't done so in a long, long time. 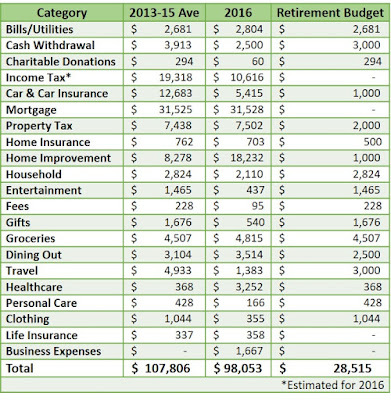 Saving $10,000 in a year is no joke. That's awesome. It also looks like you were able to drop your gifts and entertainment by $1k each. Awesome job!!! Surprised to see your car/car insurance retirement goal number so low given the number of cars. Moving away from LA area helps w/ this, I suppose. Also: given that you're using historic numbers to derive retirement goals, but said historic numbers did not include a 3rd family member, should some of the goal numbers tick up to allow for this? Clothing, gifts, and entertainment for instance. Automotive expenses are one of the categories I plan on updating in the budget soon. Just insurance and registration will probably cost the $1000 I currently have allocated, not to mention maintenance and fuel. I'm waiting to see what happens to our insurance rates after our move. We'll see how our expenses change with the baby. They might go up, but they might also go down, like the entertainment category did this year. We don't go out to bars or concerts as much as we did pre-baby, which saves a lot of money. I also won't have to buy dress shirts and slacks any more, which could offset clothing purchases for the baby.